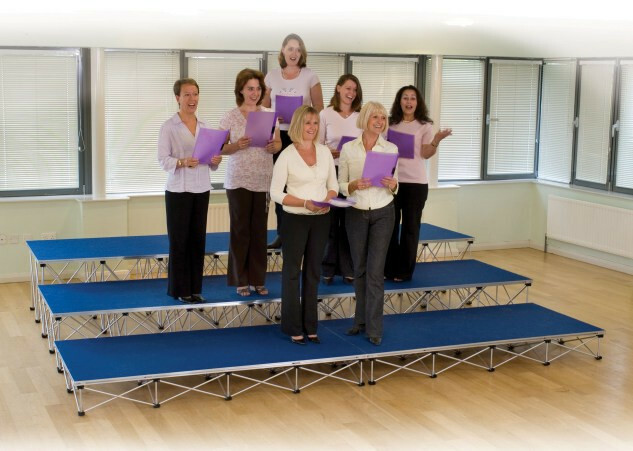 Our Ultralight Portable Staging Systems provides an extremely safe, lightweight, easy to assemble, quick to dismantle and user friendly system. 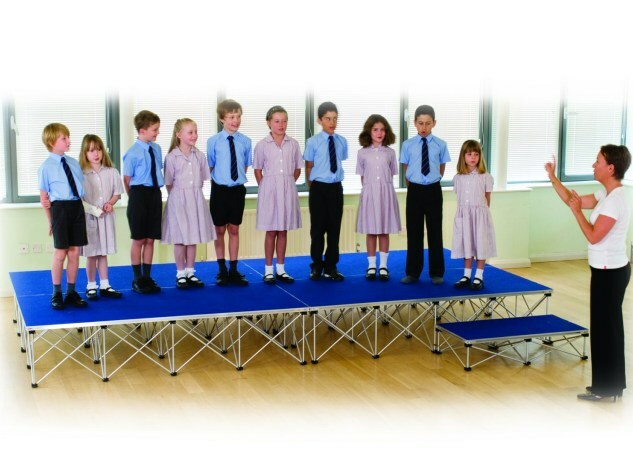 Unlike many of the inferior replica stages on the market, our portable staging is British made, comes with a five-year guarantee and with safety of absolute paramount importance, is TUV certified. 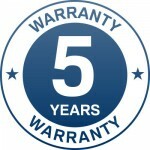 Quality – Longevity – Buy well, Buy once! 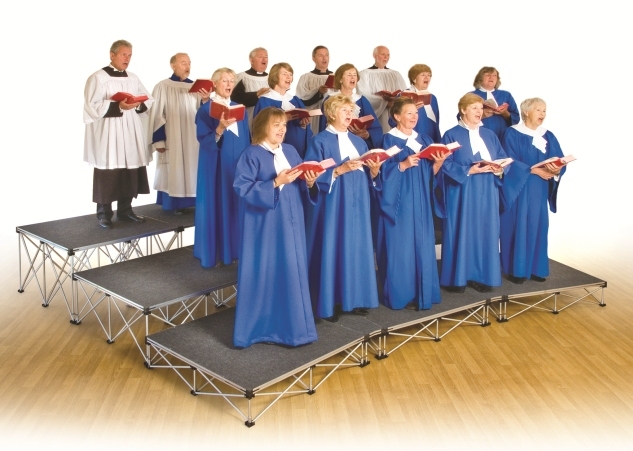 Easy to Use: It couldn’t be simpler – an expanding aluminium base and a lightweight staging platform which are quickly and easily assembled by one person. Individual component weights comply with Health and Safety operational guidelines. Fast & Efficient: The unique folding aluminium tubed base opens and closes in seconds. 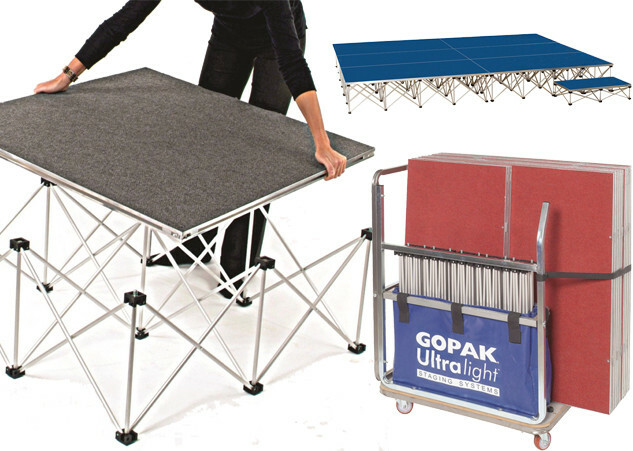 The location of platforms is quick and simple, requiring minimum time and resources to assemble and disassemble. Lightweight but Strong: Although individual components are extremely lightweight, together, they form an incredibly strong staging unit, which supports a uniform distributed load of 1000kg per sq. metre. Portable & Compact: Easy to transport and store. Base units fold to less than 2% of their open size. Stage platforms have a depth of only 30mm. Versatile & Adaptable: We offer a wide range of sizes and finishes including a range of carpet colours and vinyl. Valances are also available in a choice of four colours. 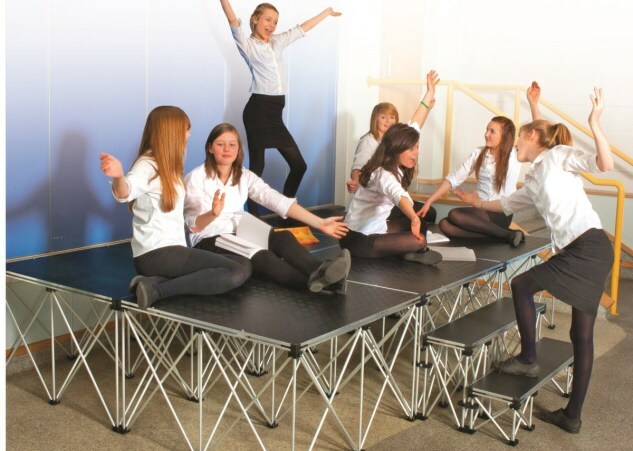 It couldn’t be simpler – an expanding lightweight aluminium base (riser) and lightweight staging platform (deck) is quickly and easily assembled by one person. Individual components are so light that they comply with Health & Safety operational guidelines. Step 1: Select your Riser. Step 2: Holding two outer pillars, extend the risers, until it is fully open. Step 3: Place the platform (deck) on top of the riser, ensuring that the corner screws on the riser are located into the holes on the underside of the deck. Step 4: Using the Allen Key provided, secure the platform to the riser. Step 5: Align the completed stage sections and using the Allen Key turn the locking cleats located in the centre of the deck to lock sections securely together. Stores up to ten 2m x 1m Decks and Risers or twenty x 1m x 1m Decks and Risers. 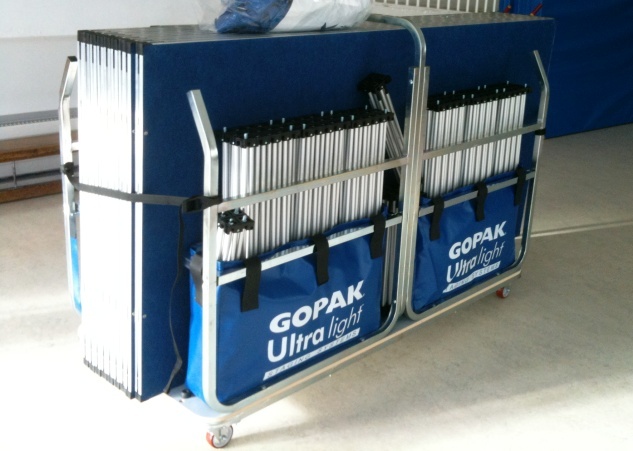 Safety features include Swivel Brake Castors and Straps to secure the Staging in transit. Supplied flat-pack for self assembly. Stores up to ten 1m x 1m Decks and Risers. Safety features include Swivel Brake Castors and a strap to secure the staging in transit. Supplied flat-pack for self assembly. Finish your stage off with the addition of an attractive valance. 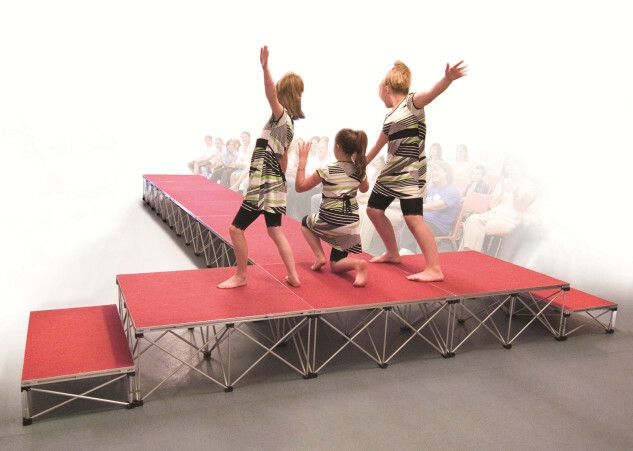 Supplied in three colours in a Fire-Retardent fabric, in a choice of lengths to match your stage. Please note the valance height includes 30mm allowed for the depth of the deck and is priced per metre. 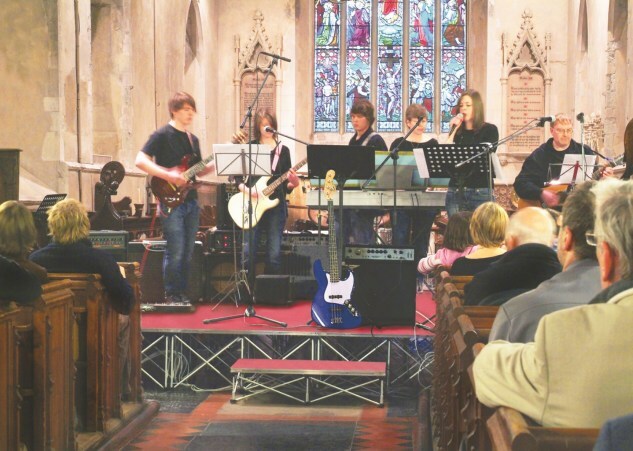 Finished in durable black powder coating, the Guardrail is secured to the Stage using purpose built brackets. The Guardrail is 1100mm high. 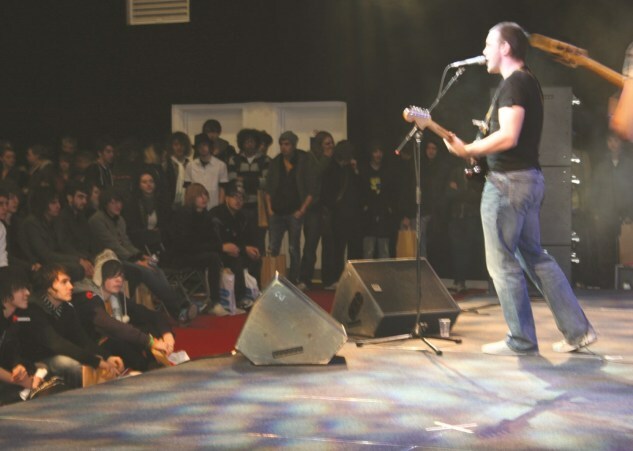 The Chair Stop Plate can be secured direct to the edge of the Stage Deck or to Guardrail and is designed to stop chairs slipping off the stage. Finished in black powder coating. Comprises of 4 x 2m x 1m decks, 4 x 400mm risers (2m x 1m), 1 x 1m x 0.52m deck and 1 x 200mm riser (1m x 0.52m) to create step. Pair of riser spring clips and 5mm allen key also included. Choice of four carpet colours. Comprises of 6 x 2m x 1m decks, 6 x 400mm risers (2m x 1m), 1 x 1m x 0.52m deck and 1 x 200mm riser (1m x 0.52m) to create step. Comprises of 6 x 2m x 1m decks, 6 x 600mm risers (2m x 1m), 3 x 1m x 1m decks, 3 x 600mm risers, 2 x 1m x 0.52m decks and 1 x 400mm riser (1m x 0.52m and 200mm riser (1m x 0.52m) to create two steps. Comprises of 9 x 2m x 1m decks, 9 x 600mm risers (2m x 1m), 2 x 1m x 0.52m decks and 1 x 400mm riser (1m x 0.52m and 200mm riser (1m x 0.52m) to create two steps.